Our opening day article from 2009, pictures myself, my friend Vance and my son Derek. This was at the Westfall House and before all the gardens were complete. After years of work, restoration of an historic North Fourth Street Victorian home has led to the opening of the Bayberry House Bed and Breakfast. The home at 813 N. Fourth St. has been restored by Bayberry Properties, a company led by Scott Dressel and co-owner Vance J. Posey, that has been restoring properties and making them available for rent or sale around the community for a number of years. 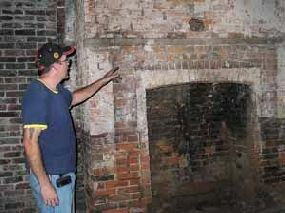 Bayberry House is the first of three homes that Dressel is hoping to have restored into a multi-unit inn, which eventually will feature as its centerpiece the former home of David Weir son of E.T. Weir, founder of Weirton Steel Corp. The house at 813 N. Fourth St. dates to about 1870 and is in the Italianate Victorian style, with elaborate brackets, hood moulds and crests over the windows and front door, as well as a decorative tower with a mansard roof. The house played a prominent role in the city's history, serving as the home to several industrialists and leading citizens during the late 19th and early 20th centuries. The house was the home of J.M. Freeman, owner of the terra cotta works in the city, in the 1880s; C.A. Freeman, secretary of Central Sewer Pipe Co., in the early 1900s; H.D. Westfall, vice president of the LaBelle Iron Works (forerunner to what is now Severstal Wheeling), in the mid-teens; and C?D. Simeral, publisher of the Herald-Star, around 1929. A stroll up the refurbished sidewalk and steps onto the restored, pillared front porch takes a visitor through a high front door into a foyer with a restored stairway leading to the second floor. A formal parlor and dining room capture the era of Victorian elegance, while a sitting room off the dining room is thoroughly classic and modern at the same time, featuring a new wide-screen television. The flooring on the first floor are restored to their natural oak and walnut finish, and refinished or reproduction woodwork is used throughout the house. 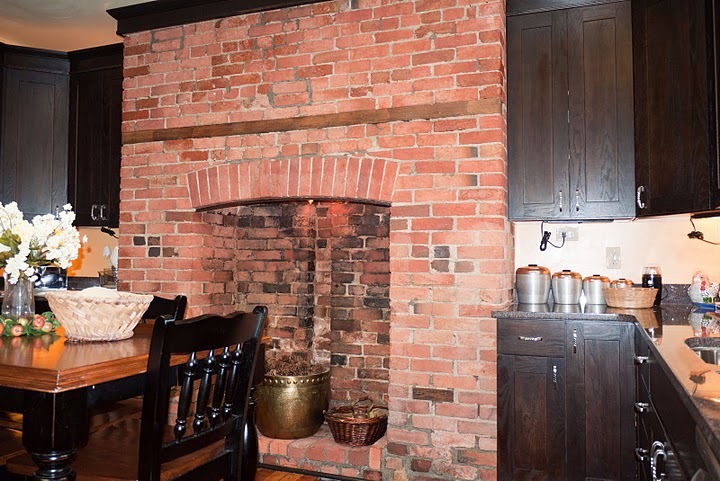 The kitchen has modern appliances for cooking, and Dressel said Bayberry provides baked goods and coffee from the Downtown Bakery daily for guests. The home has four bedrooms on the second floor along with a full, modern bath, and there is another full bath on the first floor. A set of back stairs lead from the kitchen to the second floor. Up to eight guests may stay at the Bayberry House. The Bayberry House, Dressel said, is for "anyone interested in staying in a unique, unusual setting, or someone who is interested in history." The inn already has attracted guests from Michigan and Kentucky , and Dressel said anyone who has visitors coming to town may direct them to stay at the Bayberry House. The house is part of an ambitious plan that would see the house next door, 801 N. Fourth St. , the former Weir house, and the house at 741 N. Fourth St. all serving guests, with the Weir house as the centerpiece of the Bayberry Inn. Dressel said work on 741 N. Fourth St. is progressing to the point where it could be ready for guests as early as September, while the extensive renovations to the Weir house put its completion years away, with years of work already done. "In restoration work, we run into things we do not expect," Dressel said. "I have been doing this for 20 years and I expect everything to be unexpected, so that I don't worry about it like I used to." For information on the Bayberry House Bed and Breakfast, call (740) 632-2899, or e-mail Dressel at scott@bayberryproperties.com or visit www.bayberryproperties.com and click on the Bayberry House link. Outstanding. Far exceeded our expectations. The location in the historic district took us back in time to a quieter more peaceful era. Furnishings and decor reflected taste and comfort. Innkeeper was very kind and accommodating. Would definitely recommend and we will be back! Absolute Gem. My wife and I made reservations so we could go to concert and once we got there and Scott showed us the inn, we didn't want to leave the house. It was absolutely beautiful. Wonderful Experience. What a delightful time we had at a wonderful inn. I only wish we had planned on staying more than 1 night. The next time we will. 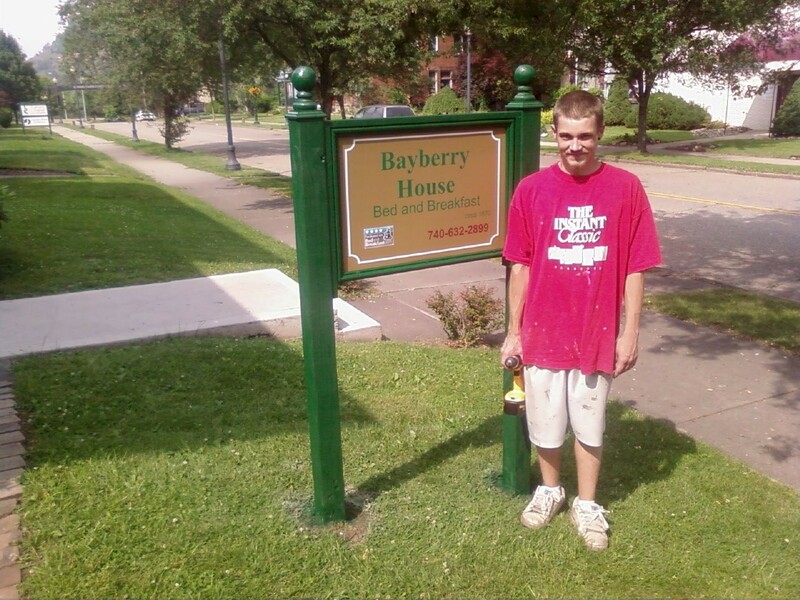 My family and I stayed at Bayberry House while we were in Steubenville for a family reunion. We were blown away! The decoration is tastefully done in antiques while still making the house comfortable. My son loved running back and forth across the wrap-around porch and everyone enjoyed sitting in the TV room after a long day and relaxing. It was so nice to have a little space to spread out, and was a much better value than the 3 hotel rooms we would have needed to accommodate everyone. We will definitely be staying here again next time we are in Steubenville. My husband and I booked the Garrett house for 3 nights. What a find! Scott was a wonderful host. The home is comfortable, beautiful, clean and tastefully decorated with both comfortable furnishings and priceless antiques. We chose full use of the kitchen and Scott furnished it with all the food items we requested. The 1st night I just walked around in awe looking at all the furnishings and antiques. They had a photo album of the restoration and transitions. Scott put so much work into this lovely home and it showed. I would highly recommend the Garrett house to a family, couple or for girls weekend away. The house has such a comforting feel I hated to leave! Thank you Scott and good luck with your current restoration! What a beautiful house! It was VERY clean and comfortable. Would definitely recommend it! It is a wonderful facility you guys have. There is nothing to compare to it around. I wish we could have stayed longer in the morning and enjoyed the ambiance. We'll be back! We were in Steubenville for the annual Dean Martin festival and thoroughly enjoyed staying at the Garrett house bayberry property Scott and Vance were wonderful hosts, and the property itself was marvelous - spacious, comfortable, and chock full of beautiful things I would highly recommend to anyone staying in the upper Ohio valley. My daughters and I reserved this house when we came to Steubenville to visit my brother and his family and all of our expectations were exceeded. We enjoy staying at B&Bs but this was special as we had the entire house to ourselves not just a room. The house is immaculate and such a treasure, beautifully restored and the area is undergoing restoration of many of these Grand older homes. We will definitely return for another stay. Wow! I don't believe there are words to describe the wonderful time we had at the Garrett House this past weekend. We are going again in two weeks; perhaps that will tell you house much we enjoyed it. The house is truly a remarkable work of art and you can see the pride in the workmanship. Each room is a beautiful, comfortable setting. We spent hours just walking through the house admiring the antiques, the restoration and enjoying its amenities. All for about the same cost of a moderately priced hotel. This is a must visit. The innkeepers were more than accommodating and the inn was outstanding! The rooms were decorated nicely and very clean. We enjoyed our stay so much, we will definitely be back. I reserved this house to have corporate meetings with clients and house our guests from out of town. What an impressive home! Very good value, immaculate from one end to the other...there is nowhere else I would stay if I had the choice to book this home. Great for groups and traveling families. I stayed at the Garrett House with my boyfriend - which was unfortunately a last-minute booking of the house. However, the owner went out of his way to make it special for us - even though we got there last minute. We were more than impressed - there is a lot to look at and the house has an amazing atmosphere. You will definitely appreciate the time and effort that went into the restoration of the Garrett House. We definitely look forward to another stay, which I'm sure will be even better than the last. The house is beautifully restored and decorated. Scott was very helpful with restaurant ideas, and the donuts/cinnamon rolls were excellent! The cost was comparable to local hotels, which made it an excellent value. We would definitely stay here again and will recommend it to our friends. Large, gorgeous, perfect. The rooms are large and very comfortable. The kitchen, dining room, living rooms all make you feel at home. It is a wonderful house. Cooking your own breakfast was fun and romantic, although the kitchen has only the very bare essentials for cooking over multiple days. Overall a wonderful stay and I look forward to coming back whenever I am in town. 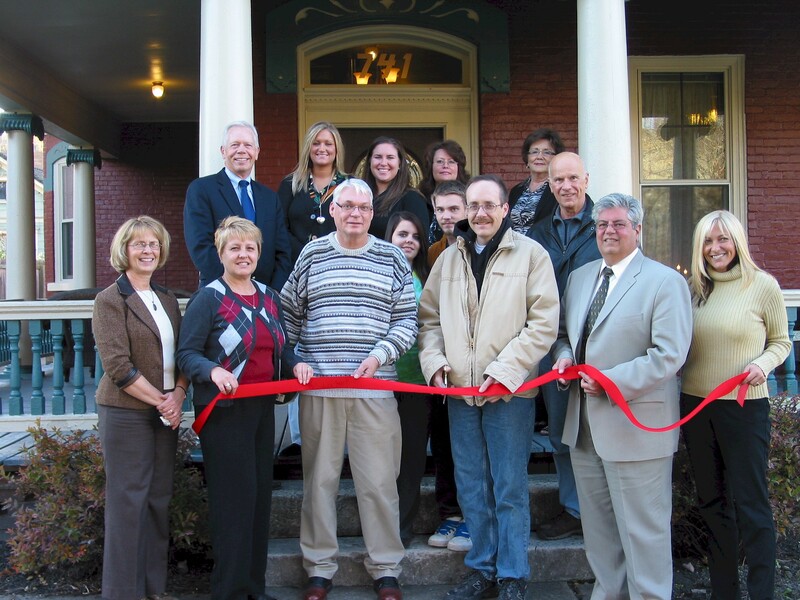 Bayberry House was a fantastic experience for my family and I as we came into Steubenville for a house hunting trip. I will definitely recommend Scott and Vance's properties to my friends and family. The house was fantastic, comfortable and the bathtub and shower in the #1 suite was just wonderful; I wanted to take it home with me. I wanted to ask them if I could come to just use the spa bathroom once we move to town, since the spa was so wonderful. The stay was great, the continential breakfast was fresh and wonderful. Couldn't ask for a better place to stay. Beautiful home that we will definitely visit again. A week later, and my wife and I are still talking about what a wonderful time we had staying at the Bayberry House. This is the first time we have not stayed with our families, who live locally, for the holidays. We decided rather than be bunched up on roll out beds and numerous people sharing a bathroom, to stay off on our own for sleeping accomodations. What a great choice to do so ! The house was so charming and warm it actually turned out to be a much needed get away from the hustle and bustle of the holiday activities. We truly looked forward to the quiet time at the house and the comfort of the decor. The house is so tastefully decorated and furnished it just felt like a home away from home. We look forward to our next visit without a doubt. If you're ever looking for a place to stay in the Ohio Valley, this is the place to go. My travel partner and I had an entire renovated 1870's mansion to ourselves. It truly was the perfect marriage of old and new: stunning Victorian decor, coupled with all the modern amenities that one could need (modern bathroom, kitchen, heating/AC, wireless internet). 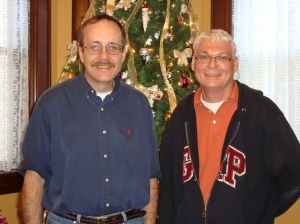 Scott and Vance are both helpful and friendly, and clearly very passionate about making Steubenville a better place to live and visit. Below are press clippings about Bayberry House Bed and Breakfast. The current Baron von Steuben seems, by all accounts, to be a genuine, interesting and interested man. Hubertus Carl Hans Baron von Steuben made a great impression with those who met him during his visit to the city named after his ancestor, the Prussian general Friedrich Wilhelm von Steuben, who trained troops to fight the British in the Revolutionary War. The Revolution's Baron von Steuben was highly regarded, granted a major land grant in upstate New York after the war and the fort that bore his name on the banks of the Ohio River in 1787 also lent his name to the city of Steubenville. The current Baron von Steuben noted his ancestor cut off all contact with the family back in Europe, and the current Baron said Friday's visit was his first to a city bearing the family name in America. He took genuine interest in the fort and the community's history, and took a side tour of the Herald-Star because of his interest in newspapers, stemming from his career in Germany as a reporter. He said items presented to him will go to the von Steuben family association, and he presented Steubenville with a copy of Friedrich Wilhelm von Steuben's baptismal record and copy of a painting of seven von Steuben family members who had been military officers. It would have been easy to see the visitor come in, make a few polite gestures and walk away, all with an air of stand-offishness. But those who met von Steuben say he was a fitting visitor in his famous ancestor's stead. Von Steuben said he would visit again. We look forward to the community getting the chance to get to know this Baron von Steuben even better on future visits and would recommend rolling out the welcome mat again and again for him. The local visit by 59-year-old Henning-Hubertus Carl Hans Baron von Steuben of Germany on Friday taught me a thing or two, about our area's past and its present. A journalist who felt quite at home when he visited the newsroom as part of his many stops in the city that day, von Steuben is named after his ancestor, Baron Frederich Wilhem von Steuben, who gained prominence for his role in the American Revolutionary War, and is the reason Steubenville is named Steubenville. He came to Ohio to visit his son, a student at Case Western Reserve Law School, but the very personable baron seemed to enjoy what was a busy stop in Steubenville beforehand, one that included meeting his ancestor's counterpart in one John Holmes, a professor at the Franciscan University of Steubenville who dons period attire and portrays the baron for local historic-related presentations. He visited the Steubenville Rotary Club meeting, came to the Historic Fort Steuben Visitor Center, toured the fort in the cold and snow, stopped at the main library of the Public Library of Steubenville and Jefferson County, headed to the Franciscan University of Steubenville, visited the Herald-Star building and then capped off the day at a reception at Froehlich's Classic Corner in Steubenville. The baron and his entourage spent the night in Steubenville, filling both Bayberry Bed and Breakfast properties at the Westfall House and the Garrett House in the Historic Fourth Street District and spilled over into the Best Western University Inn. While I was waiting for the baron to arrive at the Historic Fort Steuben Visitor Center in Steubenville, it turned out to be a photo op for me and Sandy Day, local historian/genealogist at the Schiappa Branch of the Public Library of Steubenville and Jefferson County ... not for us to have a photo taken together, but for each of us to mug it with Dean Martin. Hey, that doesn't happen every day, you know. There's a life-size cutout of Dino at the center that many people have had their pictures taken with for fun. Why not us? Even the baron, when he did finally arrive, couldn't resist having his picture taken with Dino, yet another memento of a trip he seemed to be thoroughly savoring. On a side note here, if you're in the market for Dean Martin Festival T-Shirts, you need go no further than the visitors center to find a selection of these, all reasonably priced. File that for future shopping reference. And if you've never been to the center at all, it's really an impressive facility our area should be quite proud of. I was reminded of that as I milled around, checking out the gift shop with all its unique goodies and then the room with many interesting displays. It was in that room where I met a trio of visitors from Aliquippa, a mother, son and grandson who had made the trip to the center just because of the baron's visit. They had planned to come to the center anyway, though. Bryon Jones of Hopewell Township, Pa., a high school sophomore, came with his father, David Jones, and his grandmother. When Byron was in the eighth grade, he'd done a research paper on the Baron von Steuben and had decided for a current history project to build a replica of the fort. He thought he'd come to the visitors center for a little research, insight and perspective on the task at hand. When they contacted Judy Bratten, executive director of Historic Fort Steuben, they told me they learned of the baron's visit so they timed their trip accordingly. I wished Jones good luck on his assignment, which apparently was going to be an all-weekend extravaganza for this coming weekend, but he sounded up for the task and experienced, too, given a past project had involved constructing Stonehenge out of Styrofoam. of about 60 people, history enthusiasts young and older. Marianna DuBois of Steubenville, for example, brought her 11-year-old son Jonathan and his friend Kwamai Hosdil, 9, for a local history appreciation experience. The center visit was occasion for the presentation of many gifts - from the baron to the city and vice versa, including a key to the city of Steubenville, which Mayor Domenick Mucci quipped doubles as a bottle opener. How very functional. Among those attending was Stephen Spurlock, who told me that last summer he visited the baron's gravesite in Utica, N.Y. I tagged along when the baron toured the fort itself along with fellow reporter Dave Gossett; Alan Hall, director of the Public Library of Steubenville and Jefferson County; John Holmes; and Jerry Barilla, president of the fort's board of trustees. The baron toured the fort despite the cold and snow, elements that made us all probably wonder to ourselves how the men survived such conditions when the fort was built in 1786 by the First American Regiment for the protection of surveyors who had been sent by the Continental Congress to map the Northwest Territory. It was on this site that Capt. John Francis Hamtramck of the First American Regiment had built a small blockhouse to protect his provisions while he and his men constructed the fort. By February 1787, Hamtramck and his men had completed construction of the fort, naming it after von Steuben, the Prussian army officer who had assisted Gen. George Washington in the Revolutionary War. The fort is a really fascinating place to visit, and our area should be proud we have it and the people who so passionately promote it. I'm glad for its existence and pleased to have made the baron's acquaintance. STEUBENVILLE - Friday was a very emotional day for Henning-Hubertus Carl Hans Baron von Steuben. The 59-year old descendant of Baron Frederich Wilhem von Steuben came to the city named after his ancestor who gained prominence for his role in the American Revolutionary War. "This is my 42nd trip to America. But it has always been my wish to come here. It was very emotional for me when we arrived here and I saw the signs announcing Steubenville. It was emotional because I know about the connection to my ancestor and I know this city was named after him," the current von Steuben explained during a visit to the Historic Fort Steuben Visitors Center Friday. His first stop in the city was at the YWCA, where von Steuben received a standing ovation from members of the Steubenville Rotary Club. He then was feted by Mayor Domenick Mucci and City Manager Cathy Davison, who presented the baron with gifts from the city, and Sandy Day of the Schiappa Branch of the Public Library of Steubenville and Jefferson County, who had a packet of historical information about the community. "If your ancestor hadn't played his part in the American Revolution that he did, this community wouldn't have been known as Steubenville," Day told von Steuben. "I will take these books and gifts back to the von Steuben family association of which I am the president. I thank you for these gifts," replied von Steuben. Von Steuben presented Mucci and Davison with a copy of a painting of seven von Steuben family members who were military officers and a copy of the baptismal records of Baron Frederich Wilhem von Steuben. 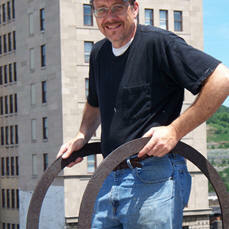 "I knew of Steubenville but I didn't know anything about Steubenville. I came to America to visit my son who is taking law classes at Case Western Reserve University in Cleveland and wanted to come to this city. I am interested because of the family name here," von Steuben explained to the audience at the visitors center. "I have talked in other cities in America but I have never spoken in a city that bears our name. This makes my visit very special," noted von Steuben. "America and the von Steuben family have the same core values. There is a true friendship between America and the German people that was built from my ancestor's role in your Revolutionary War," von Steuben said. 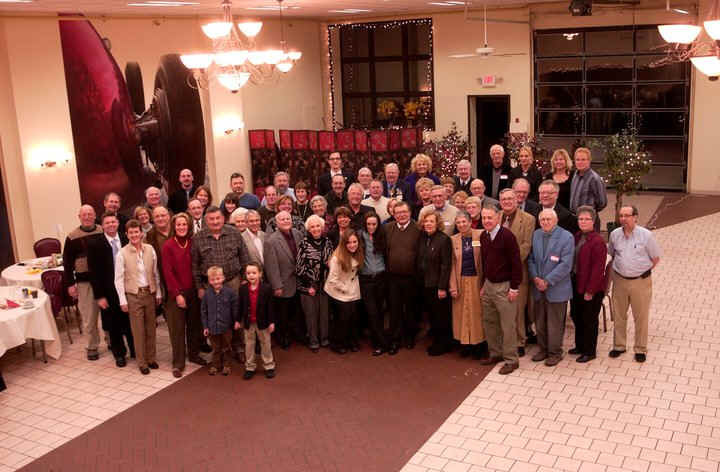 Von Steuben said the von Steuben family association includes 54 American families. "I have a cousin Richard von Steuben who was a colonel in the army and served as inspector general of the National Guard. And during a family reunion held in Pottsdam, Germany, in 2005 several of my American relatives came to Germany," related von Steuben. "My wife is a prosecutor in Germany and my son is finishing his law classes at Case this spring. I also studied law, but switched to a journalism career after my first law exam. My son is now very American in looks and how he talks so I will have to get him back to Germany soon," he said while laughing. "Our von Steuben family line in Germany can be traced back nearly 1,000 years. Our family has been very close to the royal family of Germany and most male members of the family served in the Prussian military. But I was only a first lieutenant in the Air Force," said von Steuben. Later, during a tour of the fort, von Steuben stopped at a stone marker erected in 1913 that marked the construction of the original Fort Steuben. 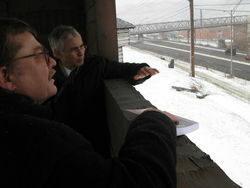 Snow flurries swirled through the air as von Steuben, Professor John Holmes and library director Alan Hall listened as Jerry Barilla, president of the fort's board of trustees, explained the different buildings in the fort. "I have a thousand thoughts going through my brain when I look at this monument. I think about the history of the general's life. He left Prussia to come to America and to look for his duty. He found a new life here in America but he had to leave the life he knew in Prussia," declared von Steuben. "He never went back to Prussia and cut off all ties to his family. His father tried to contact him and even wrote to Thomas Jefferson to ask him to have the general contact his family. That was really something for him. But because of him America became a hope for so many immigrants from Europe," said von Steuben. "He later left property at his farm in Utica, N.Y., for German immigrants coming to America because he knew how hard it was to leave your country and come to a new world," stated von Steuben. "This has been an emotional trip for me but I want to come back again," he added. The baron also visited the main public library on South Fourth Street and toured the Franciscan University of Steubenville campus before attending a reception Friday night at Froehlich's Classic Corners Restaurant. Baron von Steuben finally will get to visit the fort and the city named after him. Henning-Hurbertus Carl Hans Baron von Steuben, a descendent of Friedrich Wilhelm von Steuben, the Prussian baron who trained Revolutionary War-era troops to fight the English, will visit the city on Friday, including a stop at the Steubenville Rotary Club's weekly meeting and a presentation on international affiars at 1:30 p.m. at the Fort Steuben visitors center, as well as an informal reception Friday evening at Froehlich's Classic Corner. Tickets for the reception are available at the fort visitor's center, Frank and Jerry's Furniture and Appliances or the restaurant. They cost $15 each. The day promises a unique opportunity. The Revolutionary War-era Baron von Steuben never actually visited Steubenville, nor the fort named in 1787 in his honor, which led to the eventual founding and growth of the city of Steubenville. Thus, Friday's visit is couched in quite a bit of history. The modern-day Baron von Steuben is a collateral descendant of the historic figure, who never married. Henning von Steuben is a descendent of the great-uncle of the historic von Steuben. The city's residents and friends should be excited by the historic factor. No, it won't bring the city international reknown or fame or fortune, but there is a certain air of historical correctness in finally having a Baron von Steuben in Steubenville, Ohio. We welcome the baron and look forward to hearing his views on the world and the city that bears the family name. STEUBENVILLE - The Baron Henning-Hubertus Carl Hans Baron von Steuben said he is excited about his upcoming visit to the city named after his ancestor more than 200 years ago. And the current baron can expect to learn more about the history of the community that grew up around a frontier fort named after the Revolutionary War hero Baron Frederich Wilhem von Steuben. "I know your city by name but I have never visited there. I don't know a lot of the history of the city but I am excited by the opportunity to visit there and learn more," von Steuben said during a telephone interview from his German home. The baron and his wife, Katharina, will be spending 10 days in the United States starting this week to visit their son, Karl-Christoph, who is attending law classes at Case Western Reserve University in Cleveland. 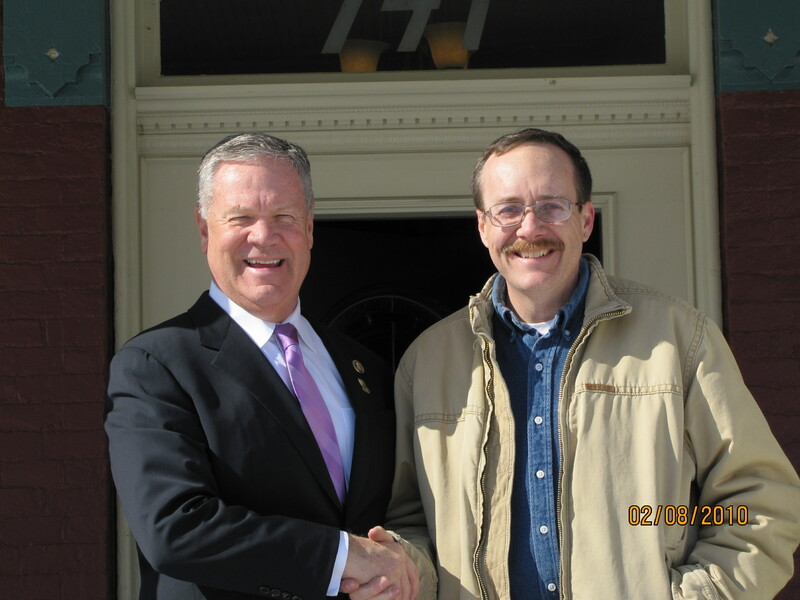 "My son is a very good friend with retired naval chief journalist Ty Robbins. They met when my son was an intern at the Pentagon. And Ty likes to keep me busy during my visits to the United States," explained von Steuben. Von Steuben is president of the Steuben Family Association and is a political correspondent for the newspapers BILD and BILD am Sonntag in Germany. "Gen. Frederich von Steuben also is a hero in Germany, with a number of monuments and statues dedicated to him. We held a family reunion in 2005 in Pottsdam where a monument of von Steuben was destroyed during the second World War. A new statue was erected, but Pottsdam was controlled by the communists at the time and they would not allow a plaque to be put on the monument," said von Steuben. "During the 2005 celebration, we were able to place the plaque explaining how von Steuben fought for American freedom on the monument. It is a replica of the plaque that is on the von Steuben statue that is located across from the White House," continued von Steuben. "During that celebration, I was able to meet members of the American von Steuben family, including a cousin who lives near Allentown, Pa.," he added. The baron is set to arrive in the city on Friday in time for a visit to the Steubenville Rotary Club's weekly luncheon at the YWCA. That stop is expected to be followed by a 1:30 p.m. presentation on the history of the von Steuben family at the Historic Fort Steuben Visitors Center, a tour of the Franciscan University of Steubenville and an informal reception from 6 to 9 p.m. at Froehlich's Classic Corner Restaurant. Tickets for the reception are $15 each and can be purchased at the visitors center, Frank and Jerry's Furniture & Appliances or the restaurant. Information is available by calling (740) 283-1787. Mayor Domenick Mucci is set to present von Steuben with a key to the city during the 1:30 p.m. event at the visitors center. Frederich von Steuben never married. He established a home in New York after the Revolutionary War and died a bachelor in 1794. The present Baron von Steuben is descended from Frederich's great uncle. Henning von Steuben was born in 1951 in Hannover, Germany, and studied public law and journalism. He worked as an intern at CBS Los Angeles and has reported for different German newspapers, broadcasting services and television stations, covering national and international events from Africa, Middle East and North America. "We are a family of law. I studied law before I became a journalist. My wife was was a prosecutor and my son has a law degree and was working in Berlin before he decided to attend school at Case Western Reserve University to obtain his master's degree. My son is focused on international business law," von Steuben said. "I am looking forward to this visit to Steubenville and learning more about the history of the area," von Steuben said. STEUBENVILLE - Thirteen generations after his ancestor played a pivotal role in the fight for freedom during the American Revolutionary War, Baron Henning-Hubertus Carl Hans Baron von Steuben will visit the city that bears the family name. It has been 223 years since Army soldiers constructed Fort Steuben on the western banks of the Ohio River to provide protection for surveyors working in the Ohio territory. Capt. John Francis Hamtramck supervised the construction of the fort in 1787 and named the site after his personal hero, Baron Friedrich Wilhem von Steuben. Von Steuben never visited the fort or the community named in his honor. But a descendent from his grandfather's brother, the current Baron Henning-Hubertus Carl Hans Baron von Steuben, is expected to arrive in Steubenville on Jan. 7 in time for a visit to the Steubenville Rotary weekly luncheon, followed by a 1:30 p.m. presentation on international affairs at the Historic Fort Steuben Visitors Center, a tour of the Franciscan University of Steubenville and an informal reception from 6 p.m. to 9 p.m. at Froehlich's Classic Corner Restaurant. Friedrich von Steuben never married. He established a home in New York after the Revolutionary War and died a bachelor in 1794. The present Baron von Steuben is descended from Friedrich's great uncle. Tickets for the reception are $15 each and can be purchased at the Fort Steuben Visitors Center, Frank and Jerry's Furniture and Appliances or the Classic Corner restaurant. More information is available by calling (740) 283-1787. According to family friend Ty Robbins, a retired U.S. Navy Chief Journalist, von Steuben will be in the Cleveland area visiting his son Karl-Christoph, who is a student at Case Western Reserve University law school. "He came to the Cleveland area a couple years ago when his son was looking at law schools in the United States and he fell in love with Cleveland. He has made a number of trips to the United States but was usually on the east or west coast. He really likes Cleveland and the Midwest and wanted to visit Steubenville since it is only a couple hours away," Robbins explained. "I called Beth Wood at the Steubenville Convention and Visitors Bureau and she was very professional and friendly and helped me arrange this visit," added Robbins. "He has a wonderful sense of humor and is a fascinating person. And people there may be interested in hearing what Europe thinks about us. There are things about our country that von Steuben likes and things he doesn't like. There are also things about the current administration he likes and other things he doesn't like. He also is a very inquisitive person. He has a very inquiring mind," said Robbins. During his tour of the Franciscan University of Steubenville campus, von Steuben will meet university professor John Holmes who has portrayed Baron Friedrich Wilhelm von Steuben for the past 20 years. "I understand he wants to meet some colonial re-enactors so I will be dressed in my costume and playing the character. "It will be exciting to meet him and especially exciting to meet a member of European nobility. It is also cool to meet someone related to the man I have portrayed for the past several years," added Holmes. "I am excited by the opportunity to meet someone with a family connection to this fort. The baron von Steuben we know never came this far west," said Judy Bratten, executive director of the Historic Fort Steuben. "I think it will be important to have the Baron to see the fort named after his ancestor. Capt. John Francis Hamtramck built the fort but named it after von Steuben because he admired him so much. And the village that grew up around the original fort area embraced the name," declared Jerry Barilla, president of the fort's board of trustees. Henning von Steuben was born in 1951 in Hannover, Germany, studied public law and journalism. He worked as an intern at CBS Los Angeles and has reported for different German newspapers, broadcasting services and television stations, covering national and international events from Africa, Middle East and North America. Since 1987 he has worked as an editor for the newspapers BILD and BILD am Sonntag specializing in politics, military and defense topics. He also is a member of the International Advisory Board of World Security Network and currently serves as president of the Steuben Family Association. STEUBENVILLE - The Jefferson County Chamber of Commerce honored five businesses and individuals and a departing board member during its 102nd-annual meeting and banquet at the Franciscan University of Steubenville Wednesday evening, featuring NFL legend Mike Ditka. Receiving a lifetime achievement award was the president and owner of Barium & Chemicals of Steubenville, Eleanor Naylor. Her many professional and charitable achievements and involvement in many programs through the years were noted. She was the first woman president of the chamber in the 1980s and worked to elevate it from the city to a countywide chamber of commerce. She said though she grew up in Pittsburgh and lived in Willoughby and Euclid, she and her husband, the late Doug Naylor, found home when they came here with their business in 1960. "We found a community that you can find nowhere else in the United States. The people are compassionate and giving and easy to get along with," she said. "I've had a wonderful life." The chamber's Business Person of the Year is Christine Hargrave, chief financial officer for the Cattrell Cos., based in Toronto, who was honored for her involvement with many area boards, committees, organizations and charitable causes. "I'm so proud of this community, the chamber and what we're trying to do," Hargrave said. Trinity Health System was named company of the year. The county's largest employer was honored for its outreach efforts, screenings, health education, the volunteerism of its work force and its ability to bring quality health care to the area, as well as helping to save the St. John Arena by working to convert it to its present use as a wellness center and gym for the YMCA of East Liverpool. Fred Brower, the chief executive officer of Trinity, said he found it interesting to honor a community hospital organization when it is the community that makes the hospital. "We serve as stewards of a valuable community resource," he said. He honored the 1,754 employees "who give every day." The Bayberry House Bed and Breakfast, which includes two remodeled mansions on North Fourth Street with a third remodeling project under way, was named New Business of the Year. Scott Dressel, owner, gave up a life in the corporate world, said chamber President Sue Hershey. "He had a goal to restore a city. We're fortunate that he chose Steubenville to achieve that goal," she said. 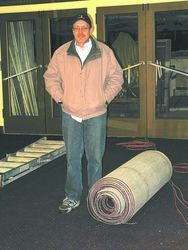 Dressel also is heading up the effort to save the Grand Theater. "Hopefully, we're making it a better town for everybody," Dressel said. Jennifer Cesta of the Public Library of Steubenville and Jefferson County received honor as the chamber Ambassador of the Year, for service to the chamber, and Nick Latousakis of Choice Brands of Ohio was honored for his service to the chamber as treasurer and serving eight years on the board of directors, much of which came during financially tough times. Chamber Chairman Alex Marshall, publisher of the Herald-Star and The Weirton Daily Times, said the chamber now has, "No mortgage, no line of credit, no debt and money in the bank." He recited a litany of projects, development efforts, construction and community revitalization, from paving to planning, from schools to business investments, calling it a "renaissance revolution." The chamber has undertaken a streetscape project to improve the appearance of one of the city's main entrances, at state Route 7 and Washington Street. Marshall said part of the drive for the "renaissance revolution" is that for the first time in many years, all the major players in the community are at the table. He said while some grumble the lines between the functions of organizations are blurring, he thinks of it another way. "It is a sharing of resources and cooperation for the common good of our county. We just don't recognize it because it hasn't happened for a long time," he said. ELEGANCE AT BAYBERRY — The rooms at the Garrett House at 741 N. Fourth St. are decorated in the traditional Victorian style that provide a quiet and comfortable stay for visitors. STEUBENVILLE - Visitors stepping into the Bayberry Westfall or Garrett bed and breakfast houses on North Fourth Street are literally surrounded by a traditional elegance that was once the norm for the stately homes in the city's North End. Scott Dressel and Vance Posey recently opened their second bed and breakfast and have plans to start work this spring on a third home in the city's Historic District. "We have had more than 150 guests from 17 states and Ireland. There have been visitors to the community as well as wedding photo opportunities. We are also preparing for a wedding rehearsal dinner here which will be a lot of fun," said Dressel. "The Westfall House at 813 N. Fourth St. offers a quiet retreat in a Victorian-style setting while the Garrett House at 741 N. Fourth St. is refined and very comfortable," explained Dressel. Dressel said both guest houses include a fully equipped kitchen with refrigerator, stove, microwave, dishwasher and dishes for use during a stay. "While most guests choose to prepare their own breakfast in the kitchen, we also provide a continental breakfast of baked goods, fruit, juice and coffee in the morning on request. Pre-shopping is also available for a small fee if you would like us to stock the kitchen with food and beverages prior to your visit," Dressel explained. Reservations and additional information about the Bayberry House bed and breakfast homes are available at www.bayberryproperties.com or at (740) 632-2899. "We will start working this year on the former Weir-Millsop home at 801 N. Fourth St. It will take time because of our dedication to true restoration and detail. But once that house is finished I am confident visitors will enjoy all three Bayberry House bed and breakfast establishments," said Dressel. "It can be a step back to the elegance of the Victorian Age and a very comfortable stay in a beautiful home," declared Dressel. I saw something beautiful last Friday. I tagged along for a ribbon-cutting at Bayberry Properties' new bed and breakfast, Garret House, and was reluctant to leave. It's an amazing restoration of classic Fourth Street homes once owned by Steubenville's wealthiest citizens. This house was at the bottom of a downhill slide when Scott M. Dressel and Vance J. Posey came on the scene. They are like a two-man rescue team for Steubenville's historic North End jewels that have been hidden by the grime of decay for too long. Garret House becomes the second of three bed and breakfast inns they plan to open. This one is so wonderful I wanted to hide in a closet and come out when everyone was gone. The faultlessly decorated downstairs rooms invite you to curl up on a couch in front of a fire with a good book. I think others shared my inclination to do just that because we all lingered long after the ribbon-cutting. I can't imagine anyone investing so much time and having such an abundance of talent required for this transformation. The refinished floors and the striking dark woodwork are complemented by a smart selection of paint colors and wallpaper that joins the furnishings in making this large house cozy and comfortable. There is an intimacy that makes you forget its size. The classic good taste also reigns in the upstairs bedrooms, the great kitchen and spacious dining room. If you rent a room there, you also have the freedom of the downstairs. It makes me want to move away so I can come back and stay there. It also made me happy to see this reflection of Steubenville's glory days given new life. As I stood on the wraparound porch and looked down Fourth Street I thought of something I read about the days when the wives of prominent citizens rode up Fourth Street in their carriages, clad in Worth gowns and fur coats and muffs, leaving their calling cards at the mansions along the way. I like to picture that in my mind but I don't imagine myself in a carriage. I think I might have been one of the people who used the back staircase, which is an enduring reminder of the servants required to maintain that way of life. Thursday, I took the front stairs. P.S. Scott tells me the house is open for tours at 2 p.m. most Sundays, if they don't have guests. It would be well worth the trip. 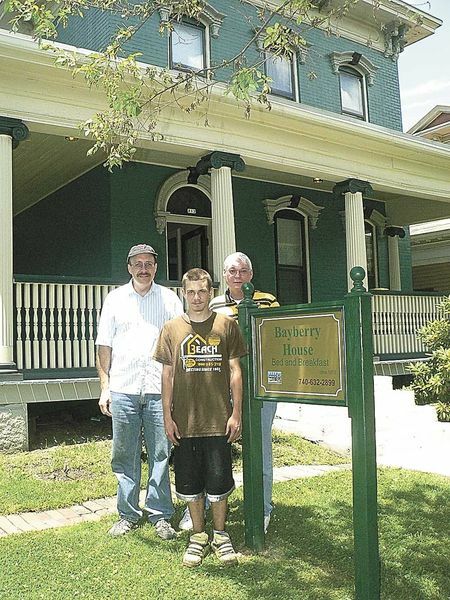 Bayberry Properties has opened a second bed and breakfast on North Fourth Street in Steubenville. Owner Scott M. Dressel and Vance J. Posey held a ribbon-cutting ceremony Thursday and will offer an open house from 1 p.m. to 3 p.m. Saturday at the Garrett House at 741 N. Fourth St. The Garrett House is the second of three bed and breakfast inns planned by the Bayberry Properties Owners. Dressel said restoring the houses in the city's North End "help protect, save, treasure and enjoy an historical part of the community." Taking part in the ribbon-cutting ceremony were, front, from left, Sue Hershey, president of the Jefferson County Chamber of Commerce; Kathy Gagin representing U.S. Rep. Charlie Wilson, D-St. Clairsville; Vance Posey of Bayberry Properties; Scott Dressel of Bayberry Properties; Mayor Domenick Mucci; and Michelle Marsella, Investor relations coordinator of the Jefferson County Chamber of Commerce; middle Rachel Sensel; Derek Martin of Bayberry Properties; and David Fortunato 4th Ward Councilman; and back, Alex Marshall, chairman of the Jefferson County Chamber of Commerce Board of Directors; Jess Looman of the Herald-Star; Joanne Styczenski of Progress Alliance; and Jody Powers and Marian Houser of the Herald-Star.